Music Training for our Home Childrens. Yoga Time for our home children's. 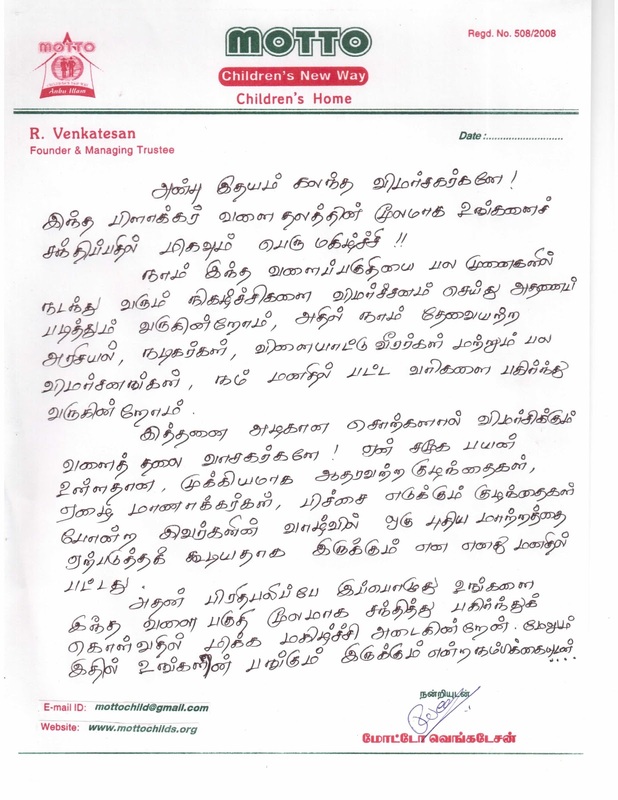 This year 2012 pongal was celeberated in Motto Childrens Home and it was celeberated by respected madhavaram Moorthy minister of milk department and ponneri MLA Mr.Ponraja. 2008 /free dental camp for school students, 2008 ஆம் ஆண்டு பல் மருத்துவ முகாம் ,முன்னாள் அமைச்சர திரூ ஆர்காட் வீராஸ்வாமி ,வாடக் திரு வரதராஜென் அவர்கள் .